i'm 16 weeks and two days pregnant.. I think it would not be so harm if you take it but if you any doubts you can clarify with the doctor and they would provide you with the list food items which to be taken and which not also. rads replied. My ayurveda doc told me to avoid Pineapple & Pappaya...I did some research on web & found that both contain an enzyme which is not good for preg....Mango being heaty all is fine...there r lot of fruits/food which are heaty....but no harm I think	Amy replied. Meena, there is nothing wrong with eating/drinking mango when youre pregnant. It is high in certain vitamins and other stuff that is GOOD for you. The thing with avoiding pineapple and what not is another wives tale. Im not trying to disrespect it, just making sure that you know. Mango, pinapple, papaya is as common as an apple where im from. Fruit is fruit. The higher citric acid fruits may give you heartburn if you eat too much of it though. That is the case with just about any food when youre pregnant though. dont worry.1/2 cup of mango milkshake will not harm ur pregnancy. but usually in india elders used to say tht pregnant ladies shud avoid pineapple , pappaya, mango,sesame seeds and etc..but anyways u hv taken just 1/2 cup..so dont worry..but in future do avoid mango. In pregnancy every small issue also matters a lot.And until some stages some kinds of fruits are not allowed at all.So it would be better find about that. Pregnancy is like another life for woman because they have to take care from all complications.I think mango wold be not be so harmful for you. Who had given this word that milk shake which is type of mango flavor would be harm for health.It is not so harm you can have it.But if you feel doubt you can clarify from doctor. It is not so harmful and not so good also.It would depend on your wish only.If you like to have that you can.Nothing would happen to your health and the baby also. Mango fruit is not so good during pregnancy because mango would generate heat in the body.So it would be better not to take that fruit.That is good to you only.And even papaya also. So you need to say about that because many people will also come to know about that and it would be useful for all the people also and i hope you would do the same and help the people with your message. I think it would not be so harm if you take it but if you any doubts you can clarify with the doctor and they would provide you with the list food items which to be taken and which not also. You need to comment on your posting only because you had posted this one long years back also and it would be better you would do that and it will be good for you only like they would be glad that you had helped them. You have to say then does it is harmful or not because you have posted this question past eleven years back and you must give an answer for the question you have posted only so any one can give answer for this. Meena, there is nothing wrong with eating/drinking mango when youre pregnant. It is high in certain vitamins and other stuff that is GOOD for you. The thing with avoiding pineapple and what not is another wives tale. Im not trying to disrespect it, just making sure that you know. Mango, pinapple, papaya is as common as an apple where im from. Fruit is fruit. The higher citric acid fruits may give you heartburn if you eat too much of it though. That is the case with just about any food when youre pregnant though. 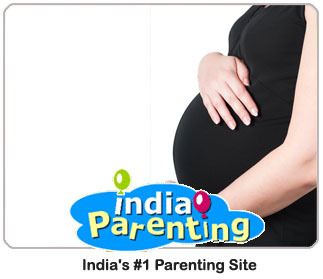 As per gynecologist suggestion, the pregnant women should follow a strict diet during pregnancy. She can avoid taking undercooked foods like egg or meat during pregnancy. Also, can limit drinking coffee during pregnancy as the caffeine may surge the pressure in the body.